The large range of incontinence samples allows you to try a product before purchasing a whole pack. 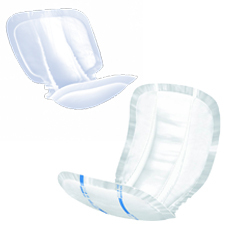 Large shaped pads are designed for moderate to heavy incontinence. They work best when worn with stretch support pants which hold them close to the body for a secure fit.